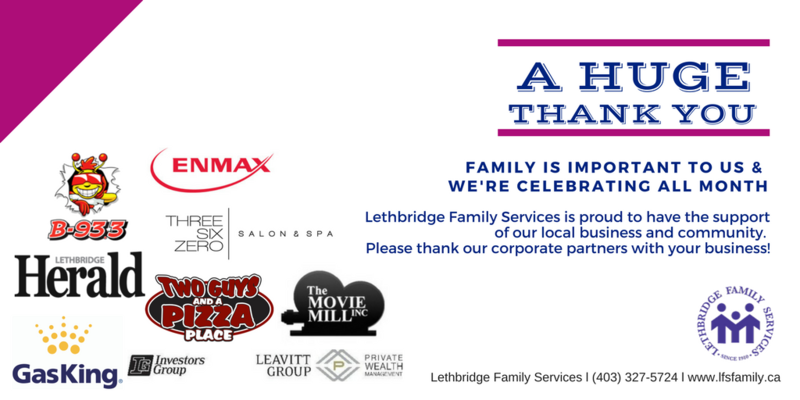 LFS relies on businesses who go above and beyond to support individuals and/or families in Southern Alberta. These people help weave the interpersonal fabric of our everyday relationships, shaping the future for healthy, all-inclusive communities. Building stronger, healthier, more connected and inclusive communities are at the heart of what we do every day….because family is important. 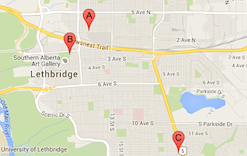 Lethbridge Family Services is a highly accredited charitable agency that is the largest community social services organization in Lethbridge and has been operating since 1910. LFS helps over 6,989 people improve their quality of life on an annual basis with the support of their four key Departments: Home Services, Immigrant Services, Counselling/Outreach/Education, and DaCapo (Individuals with Disabilities) and 370+ staff. “We are so honored to be in the service of those who reach out to us during some of the most vulnerable points in their lives, allowing LFS to help them tap into their greatest strengths”, said Sandra Mintz, CEO, Lethbridge Family Services.